The opposing party appealed on day 10. The appeal is to move the Saturday concert form 6:30-8:30pm to 4:30-6:30 pm. The idea is that this opposing family can enjoy there peace and quiet and hear the crickets, or sounds of the “environment” while they sit on their patio. A Lake Arrowhead resident, seeking to make Saturday night summer concerts begin at 4:30 p.m. instead of 6:30, has asked the board of supervisors to hear his appeal of a planning commission decision approving the concerts. What’s your view? I chose for the appeal to be denied. You can make your own decision, but lets put an end to this once and for all! Thank you all for your time and effort, it is greatly appreciated by all in the community! The picture below was taken by me last year. Where exactly is Lake Arrowhead? 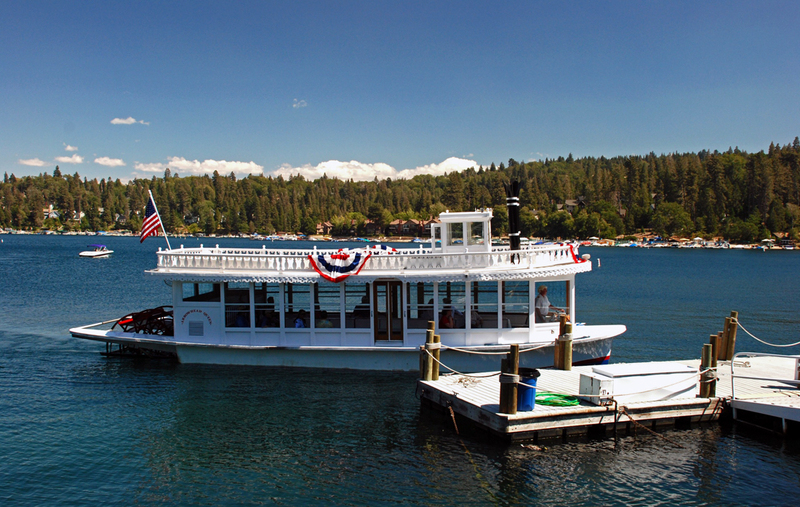 Tour companies from all over the United States include Lake Arrowhead on their itineraries. 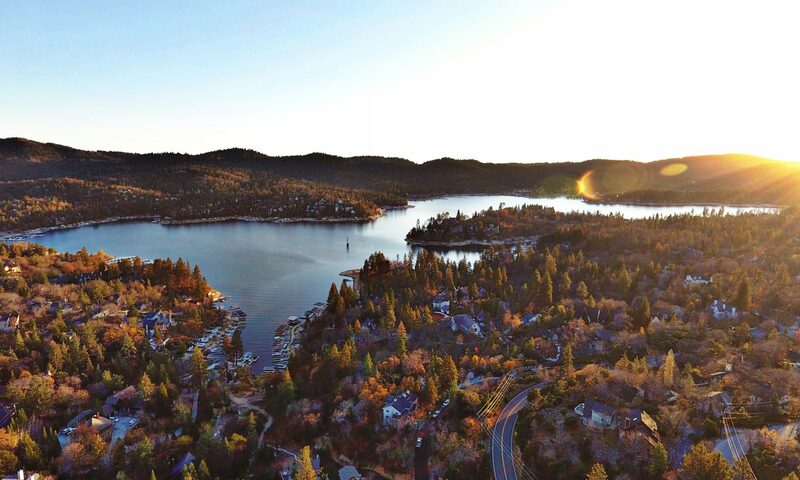 Lake Arrowhead offers 5 Star resort hotel accomodations and restaurants, seasonal weather, and exceptional real estate opportunities. Whether you’re looking for rest, relaxation, a romantic getaway from “the flatlands”, or the thrill of being at one with Mother Nature and all she has to offer, you’re sure to find it here at the lake, so plan your visit soon!. The Serrano Indians lived in the San Bernardino mountain range occupying Little Bear Valley. They would take thier old and sick to Arrowhead Hot Springs for rejuvenation and healing. They hunted in the beautiful and bountiful valley and lived relatively peaceful, somewhat nomadic lives descending to the desert highlands and warmer inland valleys during the winter months. The first so-called “Mormon Road” up the mountain was built in 1852. In the 1860′s, the main attraction for the white man at Little Bear Valley was logging, lumber and cattle, and there were several saw mills in and around the Valley. White man in the Little Bear Valley was first interested in the lumber. The trees were tall and straight and cut lumber could be hauled down to San Bernardino on a road constructed through the west end of the range. In the early 1890′s Little Bear Valley was chosen as a location for a reservoir. The dam would supply water to the lowlands in the San Bernardino Valley. Work on the reservoir started in 1893. Camp I in the north end of the valley was built to house the workers. In 1891, three Ohio businessmen chose Little Bear Valley as a likely spot for a reservoir, to supply water to the southern lowlands. Land was purchased and water rights were obtained. The Arrowhead Reservoir Company was formed. In 1890, a tramway, (a cable powered device) was built from Waterman Canyon up the mountain for the purpose of transporting supplies for the building of the dam. However, engineering problems rendered it unsuccessful. Consequently, supplies and machinery were transported via the switchback road. Construction of the dam for the reservoir started in 1893. “Camp 1″ on the north slope of the valley served as living quarters and messhalls for the workers. A domestic water system, pumping water from deep in the lake, supplied the homes, and the structures were connected to a vey efficient sewer system. Strict restrictions and conditions affecting the use of land and the buildings erected in Arrowhead Woods were recorded with each tract, including the removal of trees. 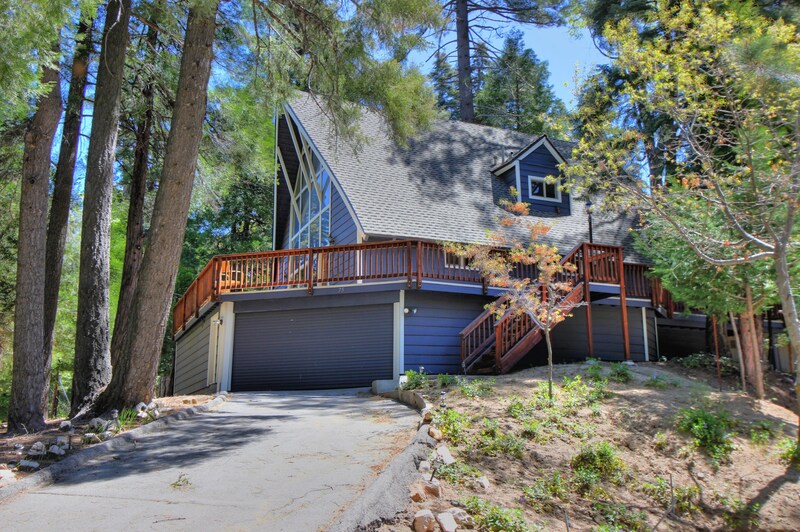 In 1971, Lake Arrowhead was purchased by seven businessmen from Chicago. In 1973, Boise Cascade was forced to re-acquire Lake Arrowhead through foreclosure. The Chicago group retained some of the properties not mortgaged by Boise, including some unsubdivided acreage. At the time Boise re-acquired the property, they were faced with the problem of building a new dam or lowering the lake 70 feet, due to a study required by the State to be made of all dams in California following the Van Norman Dam incident in the 1971 Sylmar earthquake. 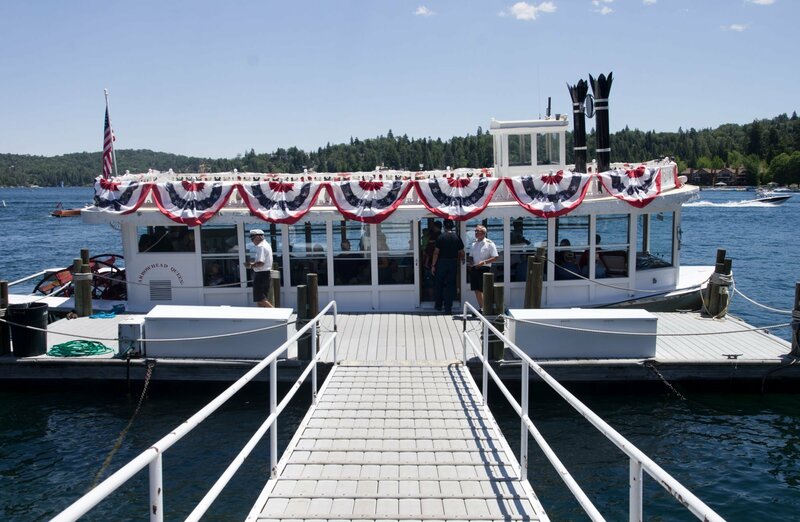 Attractions include Family Go-Carts on the beach, McKenzie Ski School, the oldest continually operating ski school in the country, a playground with play stations for ages 5-12, and spectacular lake tours on the Arrowhead Queen, a stately 60-seat paddlewheeler. WINTER brings fluffy white snow that transforms Lake Arrowhead into an unbelievably beautiful, peaceful winter wonderland. No traffic, crystal clear skys, perfect quiet… Skiing and snowboarding are favorite winter activities at our mountain ski resorts, Snow Valley, Bear Mountain, and Snow Summit. The Big Bear Ranger Station and Discovery Center hosts a snowshoe tour, and several groups offer guided winter hikes, and you can ice skate at one of the world’s most beautiful outdoor skating rinks. WALK TO THE LAKE! 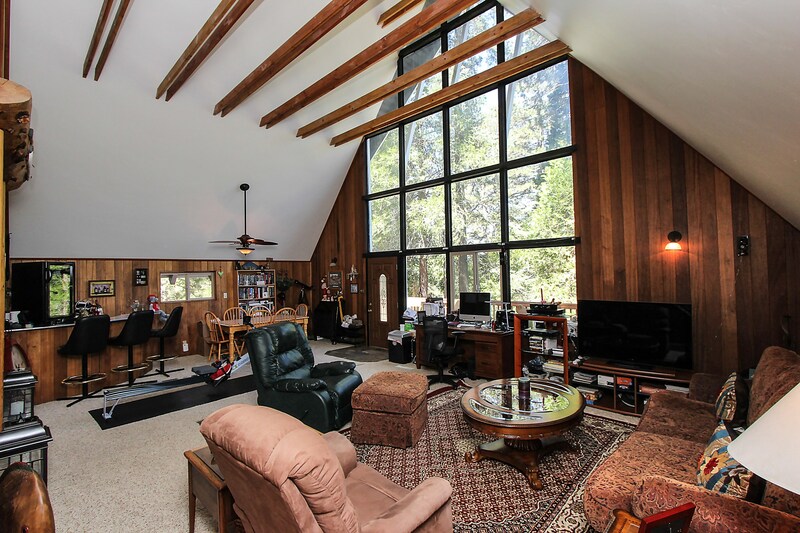 This 50’s cabin has had a major facelift since last on the market. Both bathrooms and the kitchen were taken down to the frame. 2 bedrooms on the main & large living room with a wall of windows. 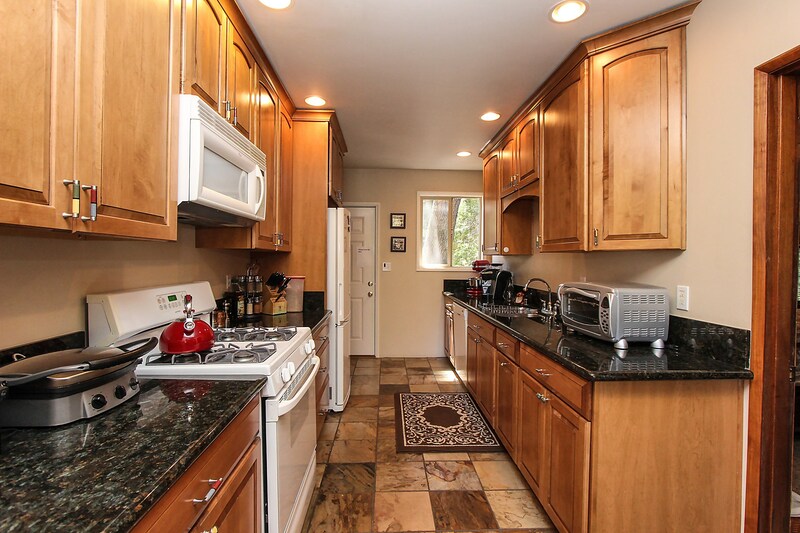 Slate floors in kitchen and granite counter tops, large deck for entertaining, large bedroom upstairs with 1/2 bath. There is enough parking for the whole family and the Boat, including the unique oversized 1 car garage. Insulted roof. Ample storage.